I do like innovative new ideas, especially if they come from an unlikely source such as Microsoft; despite being one of the largest and most successful companies on the planet, they do have a reputation for sticking to a tried and tested formula rather than risking money on groundbreaking new ideas. 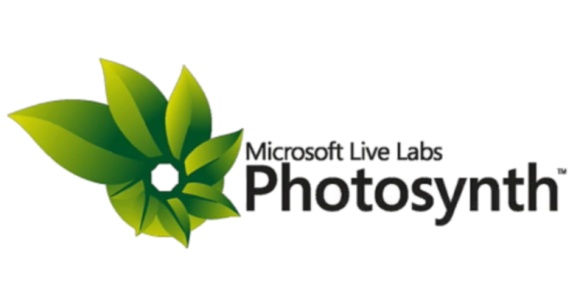 It is especially pleasing therefore when Microsoft create something a little fresh and exciting so this week we will be looking at Microsoft Photosynth; although currently in its infancy I believe the technology could become quite special if it is allowed to mature. To get started you should download a small file from http://www.bing.com/photosynth/ which will install both the environment creation software as well as a browser plug in that will allow you to view both your work and that of others online.The idea is that if you provide the application with a number of photos taken from different angles and zoom levels then the technology will be able to stitch them all together to create a kind of abstract 3D environment. To give Photosynth a test spin, try taking a number of pictures of the same area; as an example try taking a few dozen snaps around your room, zooming in to areas of specific interest.These images are then loaded in to the software and uploaded to the Microsoft server which will then begin to look for similarities so it can establish which image should make up which section of your 3D environment. Once the server has finished working on your images you will be able to use the mouse to move around your newly created model from within either Firefox or Internet Explorer.It is worth pointing out at this point that as all the processing and storage is done online, until a private option becomes available, other users will be able to view the ‘synths’ that you create. Personally I’m more interested in the potential of the idea than the current technology; in its current state of development I found the finished results looked more like a number of 2D photos that had been stitched together than an actual three dimensional world.There are plenty of reviewers that were shocked by the lifelike worlds that it created so do check it out for yourself rather than letting my opinion put you off. I think it is important to look to where this could move to over the next couple of years.The software itself doesn’t care when the photo was taken or who was behind the camera – it simply looks for similarities and overlap points so that it can create a 3D environment.As everything is stored online I believe this technology will come in to its own when it begins combining photos from multiple users and eventually crawling the Internet on its own accord for further pictorial reference material. Imagine being able to type in the name of any photographed destination and not only seeing a 3D rendition of it but also being able to move around the environment.The collective photo libraries of thousands of people who have photographed the same place will be bought together so that you would be provided with a level of detail usually unobtainable.It sounds ambitious but the technology being Photosynth isn’t too far away from making it a reality.